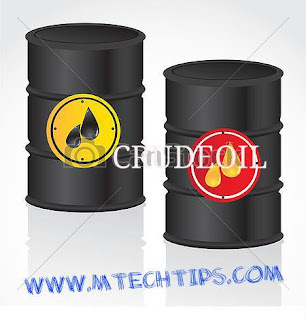 MTECHTIPS-Oil prices rose on Thursday, buoyed by the U.S. government data showing a surprise drawdown in crude stockpiles and an easing of tensions over a trade row between the United States and China. U.S. West Texas Intermediate crude for May delivery (CLc 1) was up 20 cents, or 0.3 percent, at $63.57 a barrel by 0646 GMT after settling down 14 cents. Front-month London Brent crude (LCOc 1) for June delivery was up 27 cents, or 0.4 percent, at $68.29, having ended down 10 cents. Oil also got support from firm global equities, as the United States expressed willingness to negotiate a resolution on trade after proposed U.S. tariffs on $50 billion in Chinese goods prompted a quick response from Beijing that it would retaliate by targeting key American imports. Oil prices have recently closely tracked equities. “The two countries are using discretion in their actions, and it does not look like the situation is developing into a full-scale trade war yet,” said senior economist at Mitsubishi UFJ Research and Consulting in Tokyo. “There is also hope for dialogue.